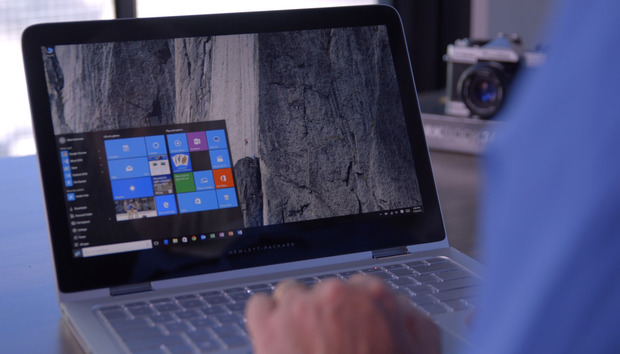 Windows 10 Insider: What's in it for us? Microsoft's motivation for pushing customers to run Windows 10 previews is obvious: It gains a huge pool of testers and millions of amateur quality control workers who help shake out software bugs before the code reaches the wild. But is there anything in it for the customer? "Absolutely," said Wes Miller, an analyst with Directions on Microsoft, in a recent interview when asked whether customers benefit from participating in the Insider program. "You're testing the quality of those bits vis-a-vis your infrastructure." Windows Insider, which Microsoft launched in the fall of 2014 as its first-ever ongoing beta program, delivers pre-release versions of the next Windows 10 feature upgrade. As Microsoft creates an upgrade, it periodically releases builds to the Insider audience. Just before the upgrade's actual ship date, Microsoft freezes the code, then begins work on the next version, with betas of that build reaching participants soon thereafter. Microsoft has never made a secret of the fact that Insider serves as a critical test bed for spotting problems before they reach large numbers of devices. The company uses the automatic deployment to consumers of each upgrade – the release track formerly known as "Current Branch" – in much the same way: to bring additional guinea pigs into the testing program. While Microsoft stresses the "help" and "helpful" aspects of Insider in its pitch to potential participants, it has said little about how it simultaneously reduced its in-house testing, shifting much of that to customers. (Think of it as similar to banks' shifting teller functions from employees to customers as the industry deployed ATMs.) The company reduced the head count of the testers in its operating system development group, and started to synchronize the real world's PCs with its hardware testing regime by forcing the former to accept cumulative updates that included the contents of all previous releases along with any new fixes, and barred the past practice of rejecting some fixes within a broader update. Such cumulative updates – proffered first to Windows 10, then mandated for Windows 7 and 8.1 as well – were explained by Microsoft as a way to "ensure that customers' devices are more closely aligned with the testing done at Microsoft, reducing unexpected issues resulting from patching." Rather than replicate an admittedly chaotic reality, where some PCs were patched and others were not, Microsoft forced customers' systems to conform with its test lab systems, which were all fully patched. Microsoft is not the only software developer to corral customers for testing. Other large vendors – countless smaller shops, too – run open-ended betas by necessity or choice, offer endless or limited-time previews, cajoling users into joining by playing on their eagerness for the new and flattering them into thinking that they directed the course of development. Companies clearly profit from customer previews. So what do customers get? "You're debugging Microsoft's code for them, and the payment you get is early warning," said Stephen Kleynhans, an analyst with Gartner Research. Insider peeks into the near future of Windows, just as radar and satellite photography provides the same for weather. "What is it that's coming?" Kleynhans asked, and answered, of Insider. "There's enough of an answer that we think it's useful to participate." But the necessity of knowing beforehand what is in an unreleased feature upgrade stemmed not from some suppressed customer desire, but from the radical change in release pace that Microsoft initiated with Windows 10. "It's a fact that [Windows 10] updates come faster. There's always another update around the corner," said Kleynhans. Because of Microsoft's time decrees, Kleynhans argued, it is in enterprises' self-interest to participate in the preview program. "You want to have as much early warning as possible," he said. Miller agreed that Insider is worthwhile to customers as well as Microsoft, but questioned the reliability of the previews as forecasts of what would be in the final upgrade. Under the current release cadence, promised features that fall behind are dropped to reappear in a following upgrade. "I am paid to analyze Microsoft's products and services, but I can't tell you what features land in which build," Miller admitted after citing examples of delays. He also pointed out another reason to participate in the preview. "This whole [Insider] process is about telemetry now," Miller pointed out. "So, you're voting with your telemetry whether your infrastructure is ready to handle this. If you don't vote, you can't complain when things don't work."